BANGKOK: Hundreds of thousands of netizens have signed a petition on the change.org website calling for the nation’s election commissioners to be purged in the aftermath of the March 24 election, which the petition organiser claims was marred by blunders and malpractice. As of Monday evening, almost 660,000 people had signed the online appeal calling to impeach the Election Commission (EC) members. The laws that could be invoked to serve this end include Section 164 of the charter, which concerns the public’s direct participation in political affairs; Sections 270 and 274 of the constitution governing impeachment; and Sections 58 and 65 of the Organic Law on Counter-Corruption. Pundits say the campaign poses a legitimate threat to the five poll commissioners. The petition will be submitted to the Senate speaker in the hope he will ask the National Anti-Corruption Commission (NACC) to conduct a speedy investigation into them. The EC members would then be suspended from duty pending the results of the probe. The Upper House needs at least 60% of its members on board to impeach the EC, according to the law. Former prime minister Thaksin Shinawatra wrote an opinion piece in The New York Times on Monday alleging the number of ballots seemed to exceed the number of voters in some areas, while in others, voter turnout was reported to be 200%. 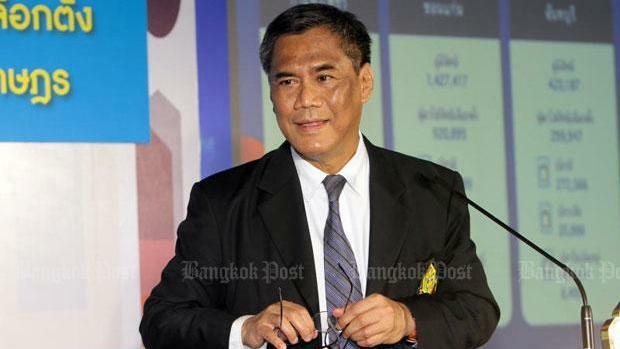 He said the EC reportedly issued results for some constituencies that didn’t match those reported by officials at polling stations, while a suspiciously large number of ballots were invalidated. There were also reports that some ballots, although marked improperly, were counted as votes for the Palang Pracharat Party. Thaksin went on to say that the junta appointed the EC and has interfered with the work of what are supposed to be independent agencies and institutions. Meanwhile, the commission said on Monday it faced cyber attacks as it was reporting on the vote count on Sunday night. “There were three attacks that caused the system to crash twice,” said deputy EC secretary-general Nat Laosisawakul. Some poll station staff also made errors in compiling the votes, he added. EC secretary-general Jarungvith Phumma said the names of the constituency MP candidates who received the highest votes would be put on the EC’s website from 4pm on Monday, but the exact number of votes they received would not be disclosed. He said 95% of the constituency and party-list MPs would be officially announced on May 9.